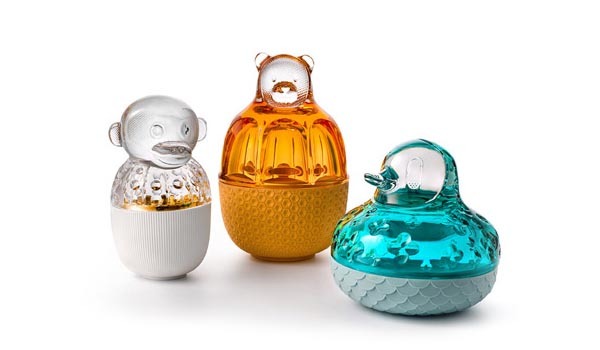 The animal designs in this crystal menagerie by Jamie Hayon are somewhere halfway between a glamorous sweet box and a decorative object. Whilst I am not someone who is always unfailingly drawn to shiny things, there is something about the sparkle of the crystal against the porcelain and the sheer playfulness and decadence of these objects that I really love. They are an unashamedly defiant antidote to all the economic doom and gloom. After all who doesn't like a bit of sparkle and cheer at this time of year? 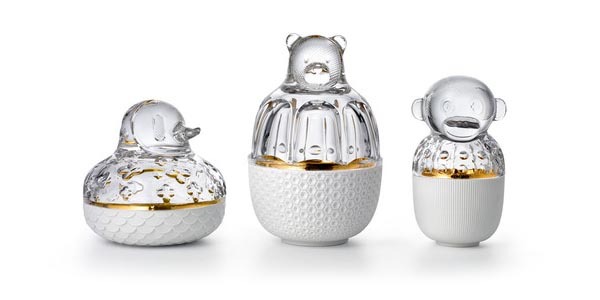 The Baccarat Zoo by Studio Hayon is currently at Dezeen's Temporium.